Hey guys, I am back with another post and in this post, I will be talking about the prediction on the Black Clover 157 and I will be giving my own opinion in the article. So, before we start this let us recap what happened in the previous chapter of Black Clover. So let’s begin. As we know that Licht and the rest of the Elves are being resurrected. Asta and his friends have been fighting battles without taking any break. Asta is extremely tired and is at his limit. The things were just getting better until Licht was awakened. As soon as Licht was awakened, he started his counterattack against humans. Moreover, in Black Clover Chapter 157 seems to uncover more revelations and awesome action. In the last chapter, many amazing things were revealed and first been Asta’s sword. Licht has been the original user of the sword unleashed the full power of the sword. It seems like that a new sword appeared before Licht during his awakening. The power of this sword hasn’t been revealed yet and it is interesting how Licht stole Asta’s sword and made it his own. Upon touching the black and dull sword, it became a shiny sparkling sword. All the Black Clover fans are asking the same question, what would happen if Licht would hold Asta’s grimoire. Grimoire that Asta possesses has five-leaf clover in its cover, on the other hand, Licht used to have a four-leaf clover grimoire. If Licht truly can purify the swords, there’s a great possibility that the Devil that resides in Asta’s grimoire would also vanish and Licht will have his original grimoire and weapons. Obviously, this would happen if Asta’s grimoire is Licht’s. Both Asta and Yuno will have to defeat Licht in order to survive. Asta is already at his limits and Yuno’s glowing aura is started to dull and the elf marks are gone. Moreover, we know that Yuno can sense mana and Asta can sense Ki, they still aren’t able to sense the movement of Licht which is quite terrifying because it showed the power gap between them. There only chance of surviving this battle is the coming of some powerful characters like the captains. 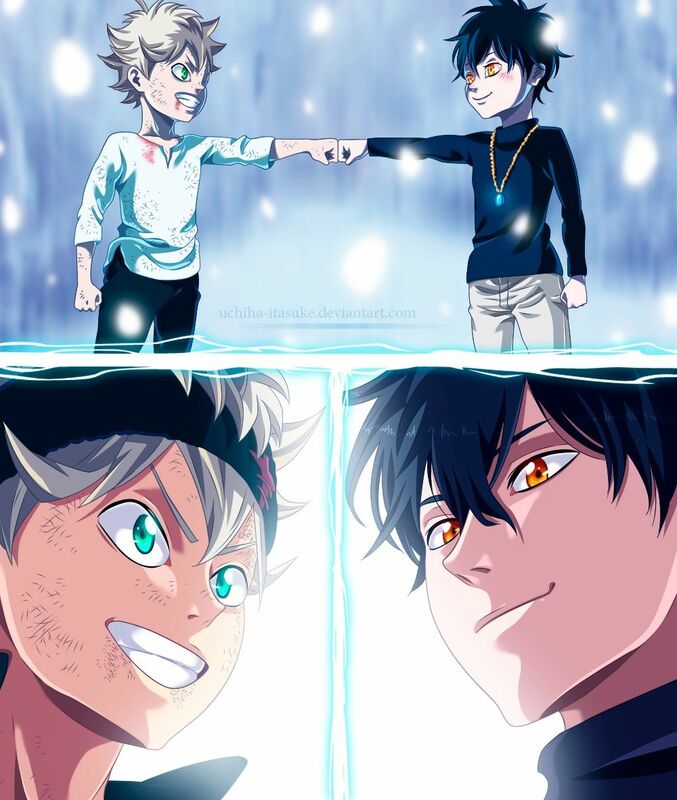 If the captains didn’t show up then Asta and Yuno will taste a crushing defeat. Nero also has some importance in the fight between the Humans and the elves. Moreover, he also knows that Licht was going to take Asta’s sword. But poor Asta wasn’t able to understand the warning that Nero gave him. We might know who he really is in the next few chapters of Black Clover. Black Clover Chapter 157 isn’t released yet when it is released you can read it online on Viz Media for free. Jibran Wani is the writer of “Black Clover Chapter 157 Spoilers, Release Date “. Connect with him on Social Media.